This is a complete US Army Issue LBE setup. 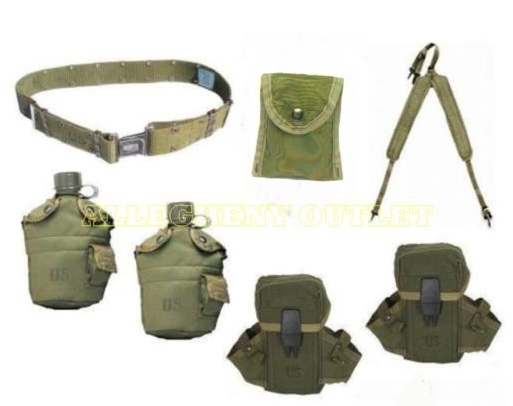 Great for tactical operations, hunting, fishing, camping etc. All attaching items have the ALICE clips installed. 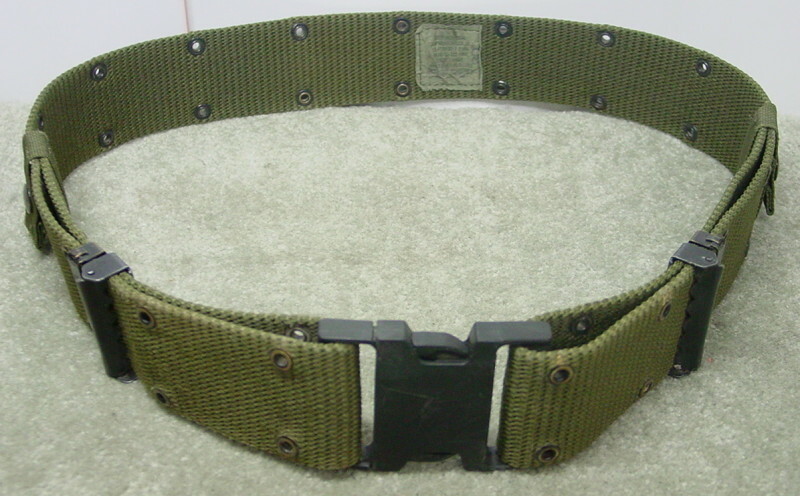 The U.S. Military issues equipment to soldiers and when the soldier completes service or receives replacement equipment the used gear is turned in and re-issued to new soldiers. When soldiers are issued a canteen the standard cleaning procedure is: add 1 tsp. bleach, fill and empty canteen 3 times with hot water. Received this set and am very pleased. All pieces were in great shape, complete with all Alice clips, and were very clean. Certainly exceeded my expectations.